It is often said that greatness and goodness are incompatible qualities. I don’t know that I agree; I don’t know that becoming obsessed with something to the point of ignoring virtually everything—and everyone—else is greatness. 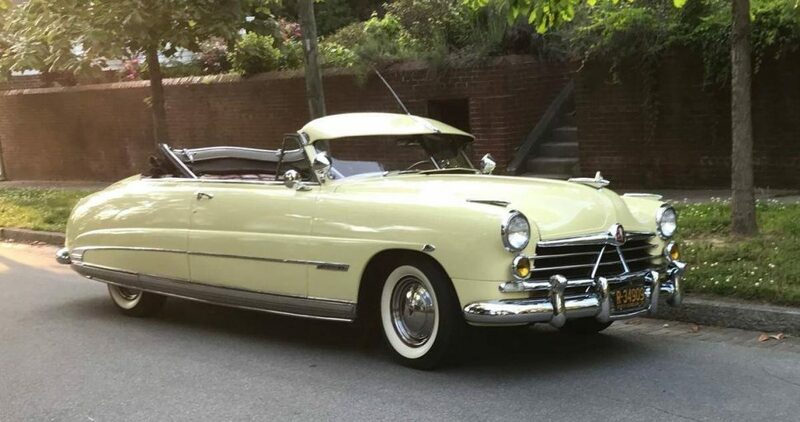 A picture of a 1950 Hudson Commodore convertible (obviously). This is the Hemmings find of the day, a car listed for sale on Hemmings that the editors think is noteworthy. I don’t always agree, but I do on this one. Back to the Hudson Commodore…the seller is asking $42,000. According to the 2019 Collector Car Price Guide by Krause Publications, a 1950 8-cylinder Hudson Commodore convertible in “2” condition, “1” is a concours-quality car, is worth $42,000. An example in “3” condition is worth $27,000. Without examining the car it is not really possible to determine the condition, but from the description this example doesn’t sound like a concours car. Hudson and Nash merged in 1954 to form the American Motors Corporation. Both makes were discontinued after the 1957 model year. What are your automotive obsessions? I would very much like to read about them.